With the viadat warehouse management system, viastore SOFTWARE offers a warehouse management system (WMS) that helps to significantly lower the cost per unit shipped, and reduces inventory and work-in-progress inventory by taking over and optimizing the management and control of the entire intralogistics. The software package is implemented very quickly due to pre-configuration, is fully scalable in function and performance and highly effectual with over 2,500 standard logistics functions. Our state-of-the-art high-performance and future-proof warehouse management system is just as suitable for small systems with low turnover rates as for huge distribution centers with several thousand order lines a day. It can be used both for conventional manual and forklift-operated systems and unit-load systems, as well as for automated systems, order picking systems and distribution and logistics centers. viadat also integrates various picking processes, such as pick-by-light, pick-by-voice or pick-by-vision. viadat is multilingual and works independent of databases, operating systems and hardware. The standard software package is intuitive to use and can be easily configured and upgraded. 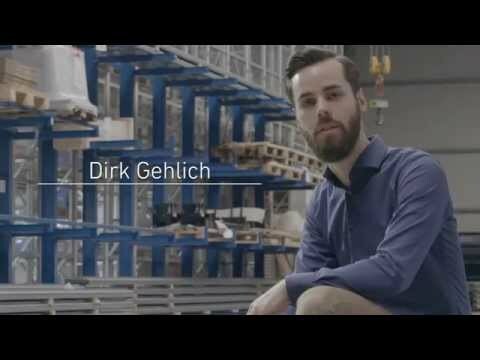 The WMS therefore offers an integrated solution for the entire supply chain: from the connection to ERP systems from various manufacturers via standardized interfaces, to the control of automated equipment such as conveyor systems, automated storage/retrieval systems, packaging machines or picking aids.